Ibiza the most beautiful island in the Mediterranean Sea is the favourite destination of many real estate buyers. Would you like to buy a beautiful finca on Ibiza? Make your desire for a life on Ibiza come true and discover the perfect finca in the best location on the Balearic island. Ibiza is an enchanting island and offers beside the sun of Spain a fantastic nature with idyllic stalls and bays, impressive rock coasts and the impressive mountain landscape Serra de Tramuntana. The capital Palma with its historic old town, the gothic cathedral as well as noble boutiques and upscale restaurants leaves nothing to be desired. Noble marinas in the southwest of the island of Ibiza are just as impressive as the romantic, unspoilt centre of the island. 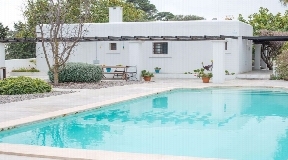 Ibiza, with its numerous charming towns, offers ideal locations for buying a country estate on Ibiza with lots of land, a pretty garden with pool and covered terraces. Browse our real estate portal now and find your impressive country house with generous living space and enchanting property on Ibiza. 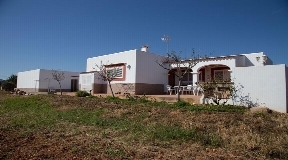 You are looking for the ideal location for your finca in Ibiza. The best possible location that meets all your requirements and wishes! Find out which region is suitable! 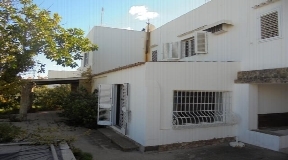 There are quiet residential areas in the regions Santa Eulalia, San Jose, San Antonio, Can Furnet, San Carlos, Establiments or more central residential areas for fincas around Ibiza. As an experienced real estate agent on Ibiza, we are happy to assist you in your search for the ideal property to buy on Ibiza. Use our professional service! Soon you will have found your perfect country estate and enjoy the Majorcan way of life on your dreamlike property in an idyllic location on Ibiza. 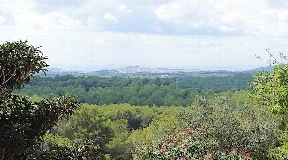 Buy a luxury villa with fantastic views of Ibiza and the countryside. Be inspired by the scenic beauty of Ibiza and the luxury furnishings of the fincas! Objects with unique landscape view we present in the real estate portal. If you have chosen a luxury property as your favourite, send us your inquiry by e-mail. We are pleased to be allowed to present to you dreamlike country houses with a inspection date. Discover your enchanting Ibiza domicile in our offers! With an experienced partner, real estate agent at your side, the purchase of a romantic country house on Ibiza succeeds smoothly. 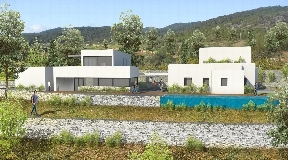 Soon you will enjoy the sun and natural beauty of Ibiza on your newly acquired property.